In this series of paintings by James Chadderton, called "Manchester Apocalypse," we get a glimpse of what the U.K.'s retro futuristic industrial city will look like after the economy (and everything else) is in a state of collapse. 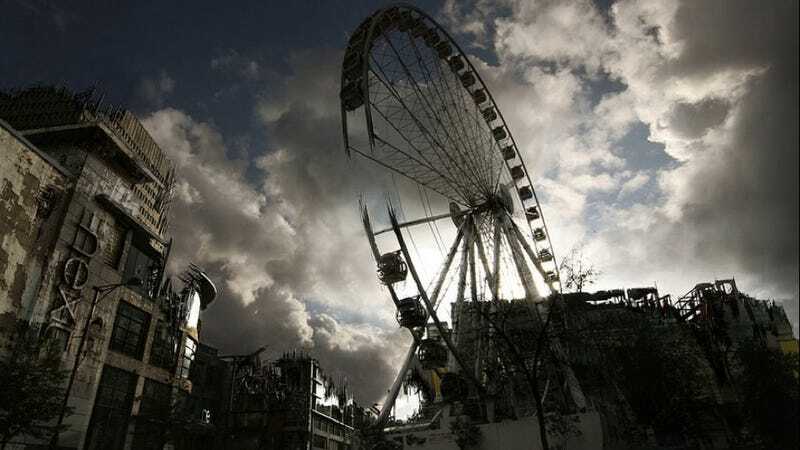 Chadderton told the BBC he imagined a "human devoid wasteland where the buildings have been left to decay". See the story on BBC News.